The industry of printing is continuously evolving. 3D printing is an innovation that's several leaps ahead of the 2D, flat and linear printing. The innovative machine could produce prints in three dimensions, making it possible to generate various products ranging from cell phone cases, solar system dioramas to complex models for engineering students. A 3D printer works by creating a blueprint of the object through an application or software. 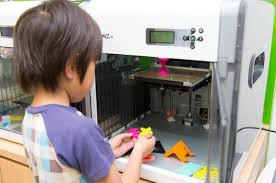 Instead of the standard ink that comes with the typical laser printer, the 3D printer uses a different kind of material, usually plastic, resin or filament. The printer then starts to assemble the prototype of the object by printing in layers, simulating the shape, dimensions, and colors from the application. 2D printers produce prints, 3D printers create prototypes. 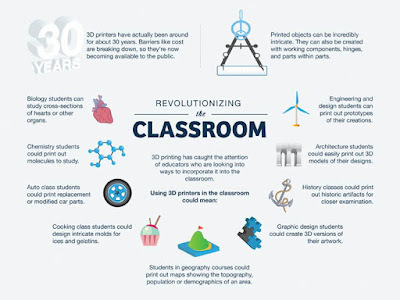 From the confines of a teacher's classroom, 3D printing can make learning more engaging and realistic to the students. 3D printing can be a valuable tool that teachers can use in breeding a more interactive learning environment for their students. When you shop for a 3D printer, you'll find that most, if not all, fall in either of these two types: a fully-constructed or DIY printer. The ready-made 3D printer is a device that you can just plug and play. Every component in the printer is designed and structured to function upon unboxing, so there's no more need to assemble. Between the two types, a fully-assembled 3D printer is more expensive by up to several hundred dollars. On the other hand, a DIY 3D printer needs some time to figure out. You will need to put the printer together before you're able to use it. Teachers and students who like the challenge of assembling an object from scratch will find the DIY 3D printer an excellent choice. Plus, these printers are at least twice less expensive than the assembled ones. Three-dimensional objects are more complicated to build than two-dimensional ones, so expect that results of the 3D printer will take some time. If you're making a very detailed prototype of an object, you will need to be more patient. On the brighter side, that would teach the students the virtue of patience too. Although 3D prints are slow to produce results in general, speed can still vary depending on the type of material you use and the make and model of the printer. Another important consideration when choosing a 3D printer is the material it uses to produce the 3D object. In 2D printing, we use ink as the material or substance to print out flat, two-dimensional products like texts and graphics. In the world of 3D printing, these materials are called filaments. A typical 3D printer uses thermoplastics which become pliable when exposed to the right amount of temperature. Today, the available filaments can either be polylactic acid (PLA) or Acrylonitrile Butadiene Styrene (ABS). The ABS 3D filament is a durable and moderately flexible material that's excellent when printing kitchen devices, automotive components and different kinds of toys. Meanwhile, PLA 3D filament consists of organic substances like cornstarch and sugarcane. Unlike the ABS filament, PLA is safer to use because it doesn't emit toxic fumes. However, because the PLA filament has a lower melting point, it is not the best material in creating objects that may warp or melt when exposed to high temperatures. PLA is the perfect filament for forming surgical sutures, diaper, and disposable utensils. Importantly, choose a printer that's compatible any filament coming from different manufacturers. A 3D printer that can only work with a proprietary brand of filament limits the opportunities for creating and learning. To execute the idea into reality, you will need to use an application or computer software. If this is your class' first dibs in 3D printing, opt for software that's user-friendly. There are a lot of things that you need to learn and ensuring that the software is easy to use speeds up the process. Also, you'll find that most of the 3D printers in the market work with "open source" programs, allowing the DIY enthusiasts to learn, build and modify the printer to their own terms. Unless you get to that level, pick a software that you and your students can understand and use. You can level up your software and gain more power and features when you've learned at least the basics. The 3D printer is going to run into some issues at some point as all printers do. If you're not a tech-savvy teacher who can't figure out what's broken and do the repairs, you'll ultimately need someone who will. With that said, you need to run some checks on the background and feedback of the company where you intend to purchase the printer. Opt for a brand or manufacturer that provides robust customer support, from troubleshooting tutorials on their website to friendly customer service agents who pick up calls and answer questions. The school's IT guy may not always be available to help you out just in case something went wrong with the printer, but it helps that there's a number, email, video or forum you can turn to whenever you need. The 3D printer is an excellent addition to your teaching arsenal. This machinery allows the students to design, and build objects on their own, further stretching their creative and technical abilities. As a teacher, you'll also learn a handful of things in operating a 3D printer. However, a 3D printer is a purchase you wouldn't want to do in a heartbeat. You need to carefully research all your options and narrow them down to the best few. You need to dissect each candidate according to your needs, the printer's features and their suitability for your class. 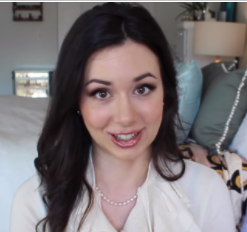 Margaux Weighner is a tech blogger and she also handles the blog of AdvancedBusinessCopier.com. She is continuously writing tips, hacks, informative and tech related articles to help students and business owners with their tech needs. 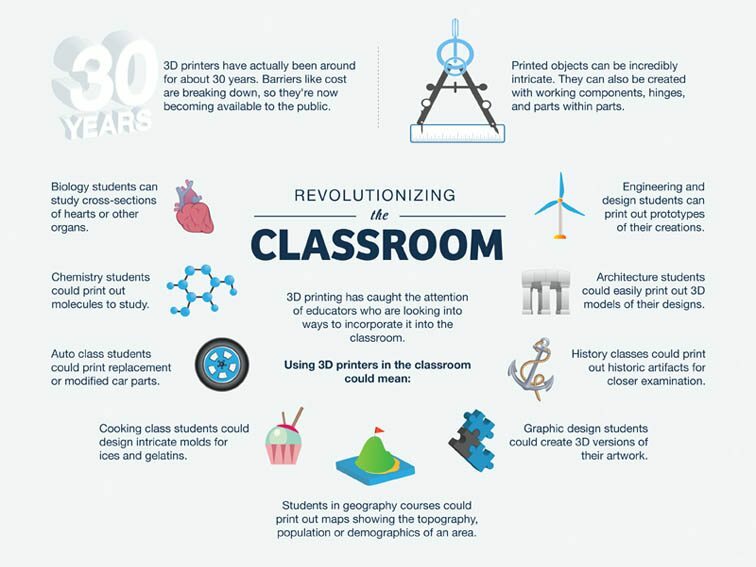 Are you using 3D printing in your classroom share your best practices with us. Join the conversation on our Facebook site and consider writing for us!